The option of building talking chatbots is a crucial one in very many ways. We are not too far off the talking car, for example, which can choose routes or adjust air conditioning, windscreen wiper speed and so on. And while such interactive conversations with AI-driven software are becoming a more common experience, SnatchBot are the only free chatbot building platform to give its bots a voice. 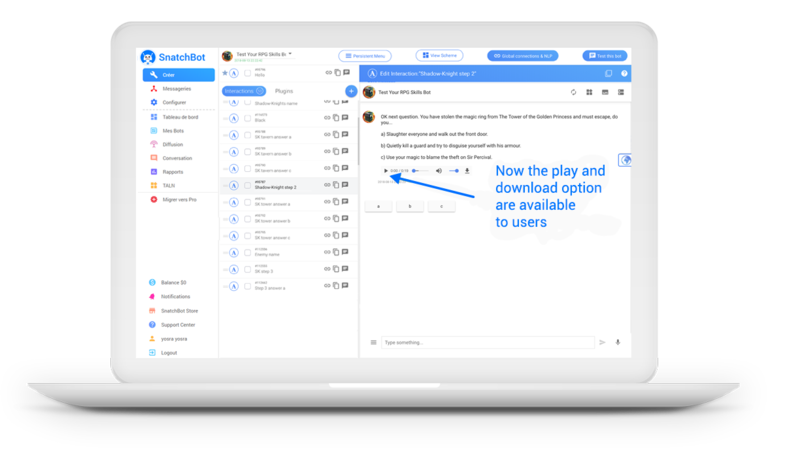 Our new feature allows users to play audio files of the bot’s messages. 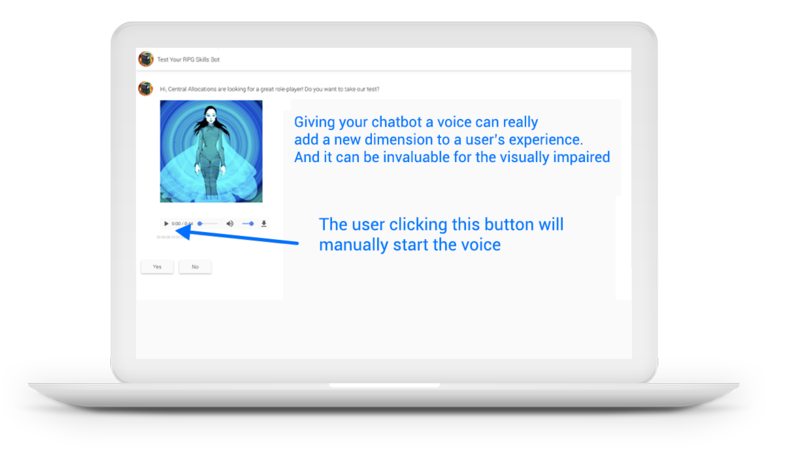 This is obviously an important accessibility option to provide for users with a visual impairment, but it is a feature that all users may wish to engage with and one that can help bring personality to your bot. As always, we’ve down all the hard work to make sure that our platform is user-friendly and requires no coding in order to build sophisticated bots with the full range of features. It is extremely simple to add the voice option to all your interactions. Firstly, click the cog sign in the Text to Speech section. Secondly, choose your language. Then listen to the samples to select your preferred voice. Once you have selected a voice, the ‘Generate Speech Bot’s Message’ button will become available, click it. 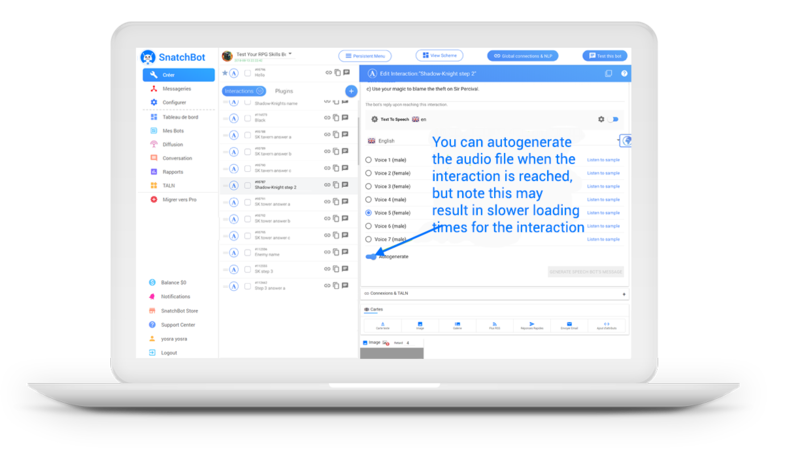 This creates an audio file to match the text of your interaction. 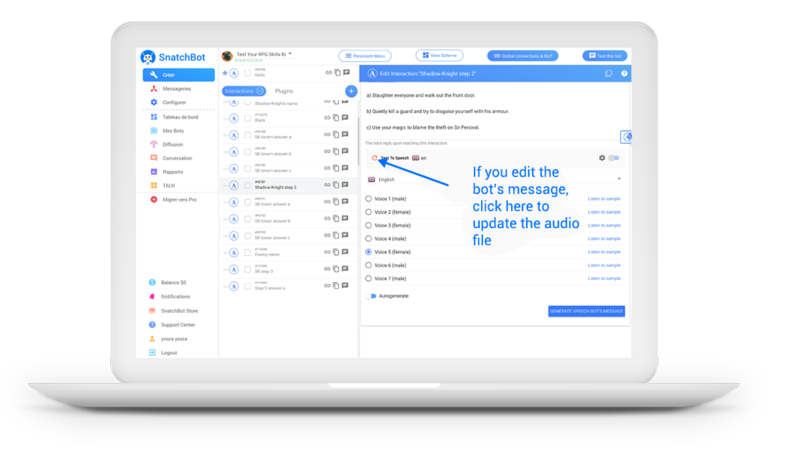 If you update your bot’s message at any point, remember to update the audio file by clicking the orange refresh button. To include your audio file as on option for the user (appearing below the text of the interaction) switch the Text to Speech button to on. You also have the option of downloading the audio file. This is how the interaction appears for the user, who now has the option of playing or downloading the interaction as well as reading it. 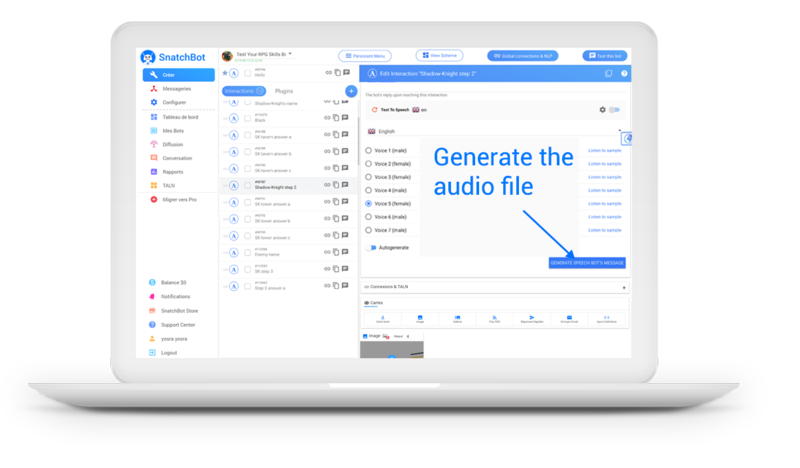 It is also possible to automatically generate the audio file. Once you have chosen the voice, switch the autogenerate button to ‘on’. Note, however, that this may lead to slower loading times for the interaction. That’s it! 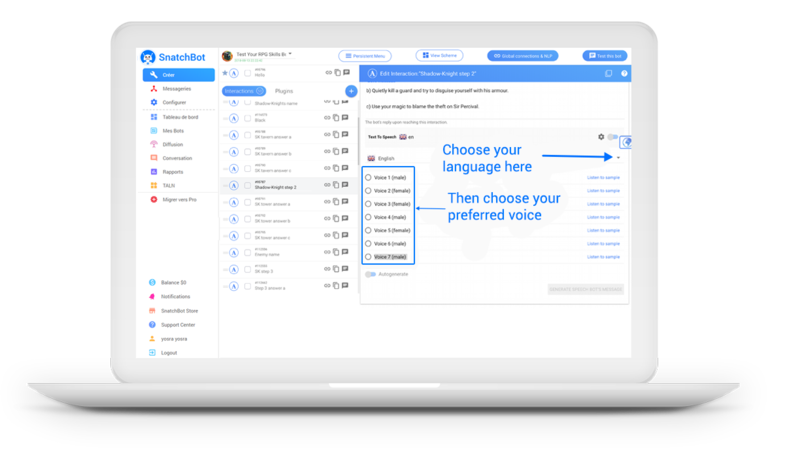 Your chatbot has a voice! And even better, this powerful new feature is free for our users.